APEC 2015: Day 8 - November 19 (Updates, Live Stream Video and Schedule) - Balita Boss! 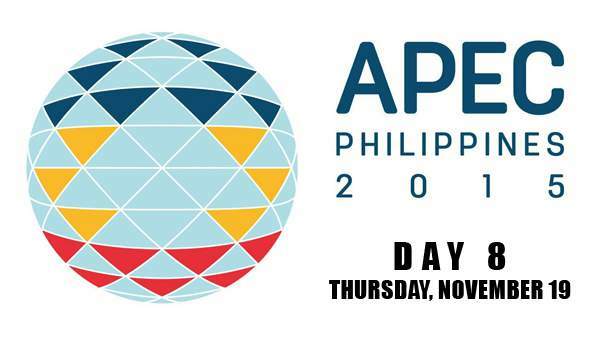 Check out below the live stream video, schedule and latest updates of APEC 2015 Day 8 - Thursday, November 19. For latest updates, kindly check the officials tweets of the APEC 2015 Philippines below.